Bundle prices are 10% of regular item prices! Items are weighed then discounted for your final bundle total. 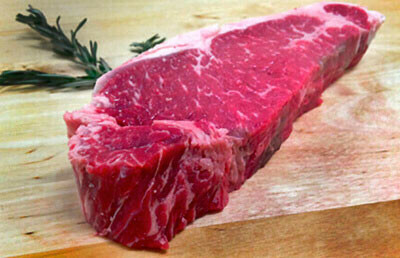 A box of 10 of our Callicrate New York Strip Steaks. Cut from the short loin, the New York Strip (or Strip Steak, Beef Loin, or Top Loin) is finely textured, tender, and juicy. One of the more popular steak cuts, its signature buttery flavor and moderate marbling make it an excellent, less fatty steak choice.